Welcome to our Elk Grove Dental Office! Welcome to Ora Dentistry in Elk Grove, California, where beautiful, healthy smiles are our top priority. Our highly skilled dental team, headed by Dr. Devan Dalla, provides you with the high-quality dental care that you and your family deserve. All ages are welcome to join the Ora Dentistry family. Experience the best of what the dental field has to offer. We provide your family with the best in oral care using the latest high-tech dental instruments and technologies. Our services include preventive and restorative general dentistry. We also offer cosmetic dentistry, sedation dentistry and emergency dental services. Preventive dental services include a thorough dental exam and cleaning. The best way to keep your teeth in healthy condition, in addition to excellent oral hygiene practices at home, is to make sure you have regular dental checkups. These visits to the dentist are your best bet against advancing tooth decay and gum disease, both of which are major causes of tooth loss. Restorative dentistry repairs damaged teeth and replaces missing teeth. At Ora Dentistry, we use cutting-edge technology to make your visit with us as comfortable as possible. Some of the dental procedures used to restore your smile would have been long and uncomfortable in past years; however, with modern technology, cavities get filled faster, look better and the fillings last longer than before. Dental implants are now the choice method for replacing missing teeth for those who are good candidates for the process. A dental implant can replace a missing tooth and give the appearance, feel and function of a normal tooth. Implants are also used to create bridges in some instances where there is not a tooth available to be an abutment. They are also used to secure dentures. 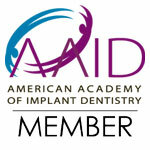 Implant-secured dentures provide more security for denture wearers than traditional dentures. You can wear them throughout the day without worrying about whether they will slip or fall out when you laugh or cough. You can eat foods without being concerned about your dentures becoming dislodged or particles of food getting trapped and causing discomfort or pain. Implant-secured dentures can boost your self-confidence because they look good, feel good and you know they will stay securely in your mouth. Replacing missing teeth is only one aspect of enhancing your appearance. Cosmetic dentistry is another. Teeth whitening is one of the most requested cosmetic dental services. Years seem to melt away from your visage as your teeth become several shades whiter with professional whitening. You will notice the difference by the end of your visit with us, and you will be very pleased with the outcome. If you are looking for more serious work, dental veneers can give your smile a complete makeover. By masking flaws, dental veneers can provide you with a perfectly straight, smooth, white smile, contoured to fit the dimensions of your face. Veneers mask misshapen teeth, small gaps between teeth, chipped teeth and other blemishes that can ruin a perfect smile. They can also make small teeth look larger. Orthodontic dentistry provides various options for correcting misaligned teeth. With the Invisalign system, clear aligners are worn approximately 22 hours every day to gently move teeth into the desired position. These aligners are removable. Unlike traditional braces, you will not have any dietary restrictions and you can carry out your normal oral hygiene routine. The discreet aligners worn with Invisalign make getting your teeth straightened a positive experience. Emergency dentistry is a service provided by Ora Dentistry to ensure that patients who need emergency dental care can access it without waiting weeks to be seen. Hospitals are not usually properly equipped to handle dental emergencies. In most cases, they will do what they can and advise the patient to see a dentist as soon as possible. With Ora Dentistry, you can contact us directly. We have the skills and equipment to treat dental emergencies with care, compassion and efficiency. Anxiety is to be expected when visiting the dentist; however, when that anxious feeling is a problem, we have sedation dentistry to help you feel calm and relaxed. Laughing gas is used for mild sedation for patients who need a little help relaxing while dental procedures are performed. Oral conscious sedation is used for those who need more than what laughing gas can provide. For patients who have high anxiety levels or who need to undergo more extensive procedures, we offer IV sedation. Your dentist will discuss the information you need to know before undergoing any type of sedation. Contact us today to schedule an appointment. Ora Dentistry also provides special needs dentistry for those who require it. We work with developmentally disabled individuals and we bring our skills into hospital settings as well as homes when required. Ask us about these special services.